I will be in Nepal from Dec 15th to Jan 6th and I plan to trek to Kala Pattar and EBC, walking in from Phaplu and flying out Luka. The itinerary has a little buffer space and flexibility. So time and weather permitting crossing Kongma La or any other detour might be an option. I will have a porter guide but would like to team up with other trekkers as well. I don’t want to walk in a group all day, but taking part of the daily walk together meet for lunch and in the evening would be good. 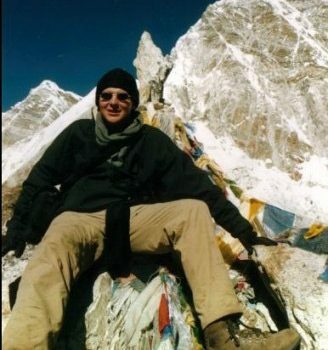 I am 42 (male), from Germany, not as fitted as I used to 😉 , but I did the trek before in 2002 and have also been on the Annapurna Circuit twice so far. I’ll go a normal pace but can take long days if needed. 22. Dez	8	Namche Rest/Accl. 25. Dez	11	Dingboche Rest/Accl.